History has occurred right before my blue poodle eyes. Hillary Clinton has become the first woman to be a Presidential Nominee of a major party in the United States. How fab! So everyone is telling and showing their children, that you can be anything you want to be. And that is actually true for Poodles too. 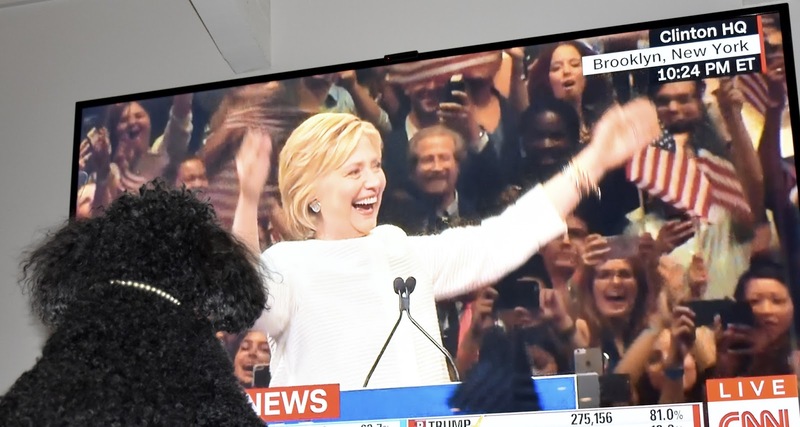 After all, two of the Clinton's dogs (Tally and Maisie) are said to be Toy Poodle mixes! I wonder if they have always dreamed of being First Dogs! P.S.- No, I am not declaring my support for any candidate. Trump also has a dog (Spinee).